As summer draws to a close, it appears we are about to face an onslaught of new phones. While most everyone's attentions is directed at the likes of the iPhone 8, Galaxy Note 8 and LG V30, let us not forget that Google appears set to release updates to its Pixel phones, and now some pretty reliable renders have hit the web. 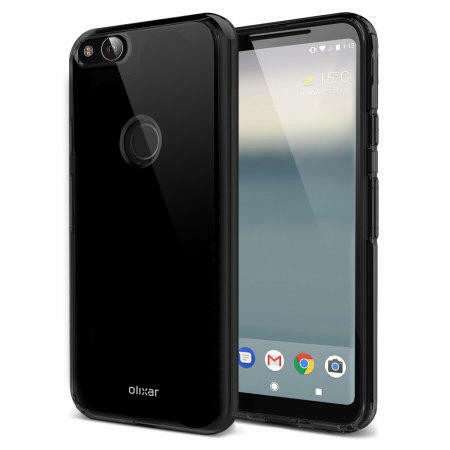 Olixar – which has an excellent track record of spoiling phones – has some new cases for the Google Pixel 2 and Pixel 2 XL up on MobileFun right now that show off what we could be expecting from Google new set of devices. While there has been some speculation that the two devices wouldn't be identical this year, it's looking like that won't be the case. Both devices are pictured with identical designs. Not noticeable, however, is the difference in size, which is expected in images such as these. The key piece of information not confirmed here is whether or not Google is indeed dumping the headphone jack. Some rumors have indicated that the company plans to follow in the footsteps of Apple and have everything run through the charging port, but we'll just have to wait on that tidbit for now. Last October was when the original Pixel devices were announced, and we don't see any information to indicate that should be much different this year. Maybe slightly earlier in the back end of September, but we would estimate we're still about two months out. For now, just enjoy these case renders and let us know what you think of the design in the comments.